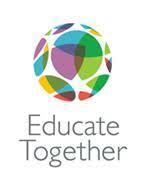 Castaheany Educate Together National School is a co-educational primary school based in Ongar, Dublin 15. We pride ourselves on our inclusive ethos and ensure that all children in our care are taught to the highest standards of education. Our ethos guarantees every child equality of access and esteem, regardless of their social, cultural or religious background. Pre enrolment forms must be posted or emailed to school. No pre enrolment will be accepted by hand. Please see our Enrolment Policy for more detials.